The financial market is pickled with hundreds of futures trading system that are available retail traders and investors. While there are few proven and solid futures trading systems out there, the average futures trading system will eventually fail. Unfortunately that is a fact and I actually did a 42 minute presentation about why most algorithmic trading strategies fail. If you are like my and have tried dozens of future trading systems and/or built several yourself you know just how rarely one will actually make you money for any length of time. It is frustrating and disappointing journey to say the least, needless to mention the financial losses also. I cringe when I see or hear about a trader who buys a future trading system that says they can make 200% – 1200% return per year. So many uneducated traders and investors continue to fall victim to either dishonest developers, or futures trading systems that were developed just for a group of marketers who knew they could sell a few thousand trading systems and make a quick buck before people would catch on that the system was optimized to work well only in historical trading results. 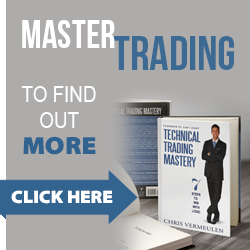 Regardless which futures trading system you go with, your search for a good trading system that puts the odds in your favor over the long run is key. Few futures trading systems will make it through the bullet items that I have listed below. The trading system that do pass these rules I would trust and trade myself, otherwise beware! Drawdown Analysis: all futures trading systems go through drawdowns (losing periods), yet many systems focus only on profit potential and do not realize how big their drawdowns can be. Consistency of Equity Curves: mere numbers are not enough! Remember “a picture tells a thousand words”. You don’t want a rollercoaster looking equity curve on your futures trading system. Post-Release Performance: how long has the futures system been running? How does it compare to historical? Historical Track Record: while it is obviously better to go with a system that has proven itself in post-release performance, obviously a good new or newer future trading system will not have this by no fault of its own. Fully Disclosed / Totally Transparent Systems: this is very important to consider after performance track records, like a broker statement from the developer. Single vs. Multi Market Systems: caution is warranted. Beware of futures trading systems that are designed to trade multiple markets. Every market has its own unique personality and characteristics. Simple trading systems with few parameters: every now and then you come across a futures system that has all the criteria but if it uses more than a handful of indicators and types of analysis, its likely not going to work well going forward. Easy to trade: obviously this helps if you need to manually enter the trades, but automated futures trading systems are becoming the norm which is a nice feature. Commission & Slippage Deduction: performance track records that do not include a generous deduction on a per trade/ per contract basis for slippage and broker commission is a red flag, be warned. Symmetric Trading Logic: no bias towards long or short trades. System should go short just as easily as when it goes long. Tested and Verified by Futures Truth or Collective2: these are independent third party entity dedicated to testing and tracking futures trading systems.